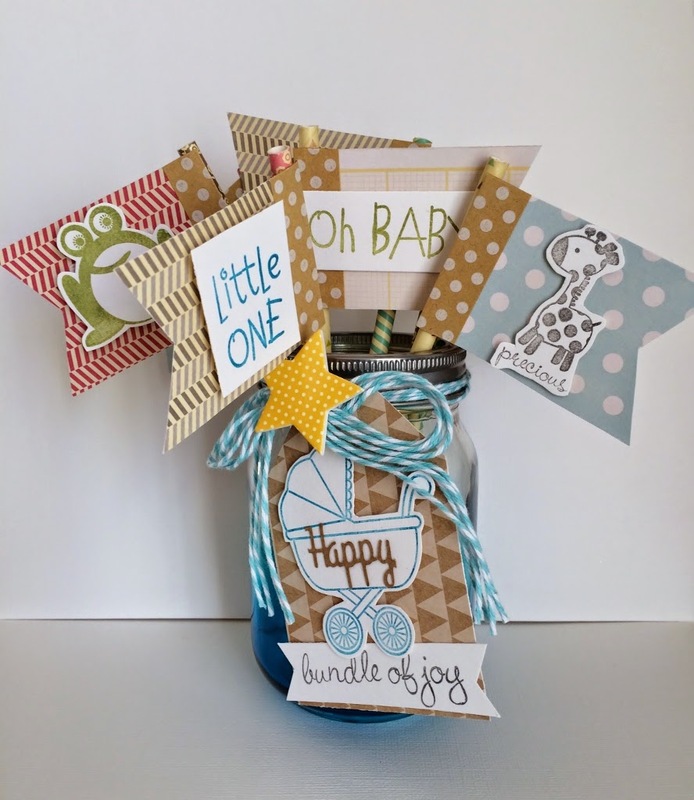 Here is a fun décor gift for a baby shower. It was created with brand new Jillibean Soup/Party Playground items and Hampton Art, Oh Baby stamp set. The flags began with the new Party Playground straws in 8 different patterns and colors. 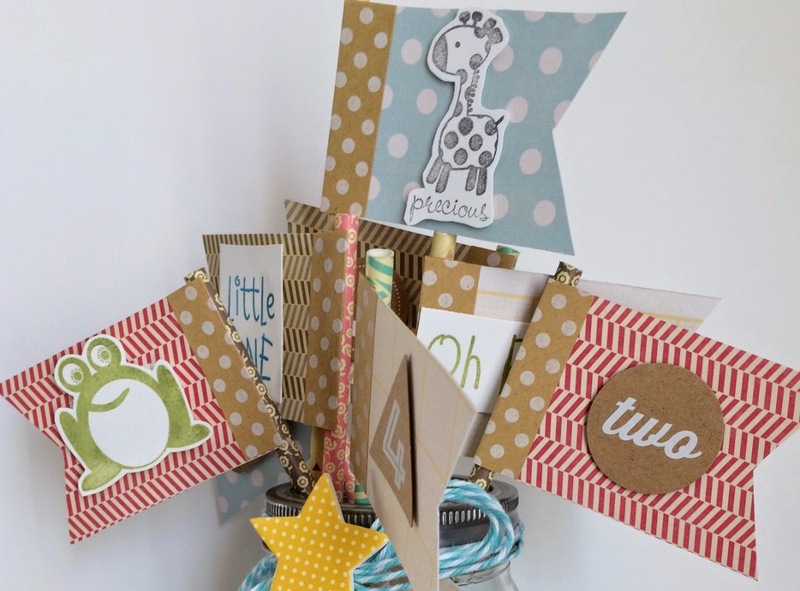 Next using the new Kraft paper tape in dots I added the different banner pennants. 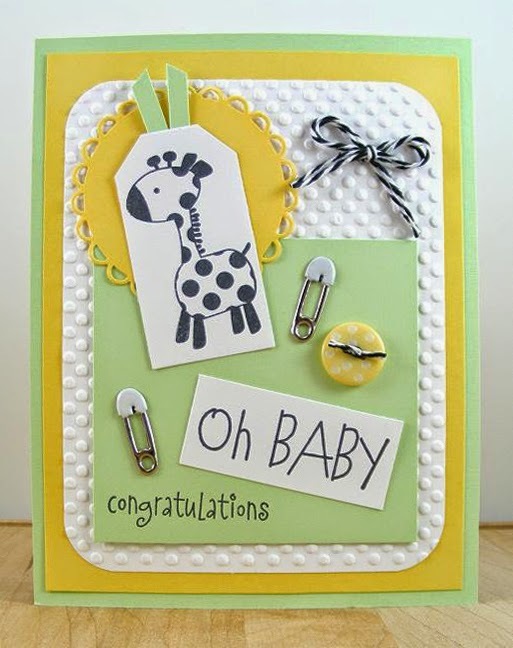 The Oh Baby stamp set offers several sentiments and critters to choose from so I used most of the set and stamped them in varying colors of ink as shown. Then I cut them out and added them to flags with foam dots. Then I placed them in jar and added bakers twine bow using four strands. The tag was made with Kraft Triangles from Soup Staples III collection and hole punched in top. 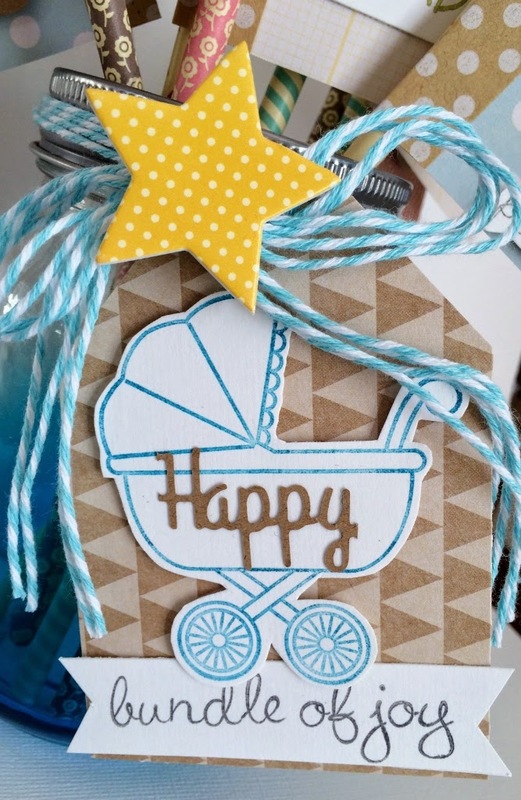 I stamped the baby carriage in blue ink and the sentiment in charcoal gray ink. I cut them out and added them onto the tag. 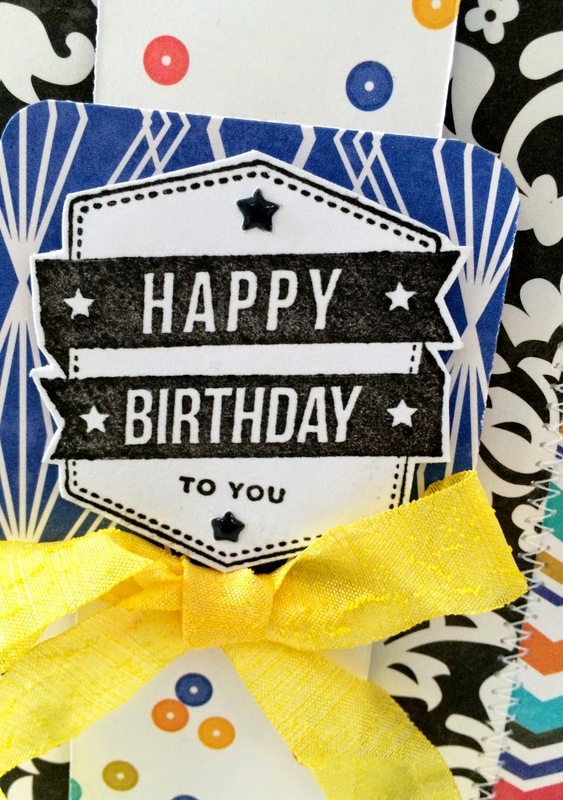 Last I added a cupcake topper star and a “Happy” kraft message cut out from a kraft tag. There are so many fun mason jar options out there now to choose from, this one had an ombre blue wash to it. 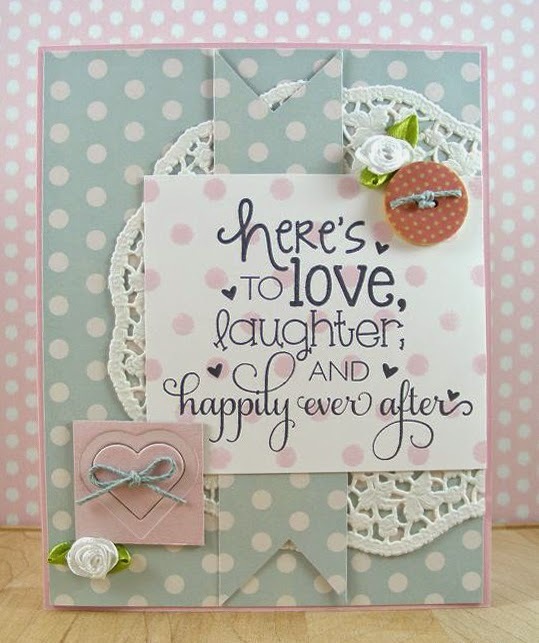 So add this to your party planning pinboard, the project can be easily adapted to any theme and any color combination. 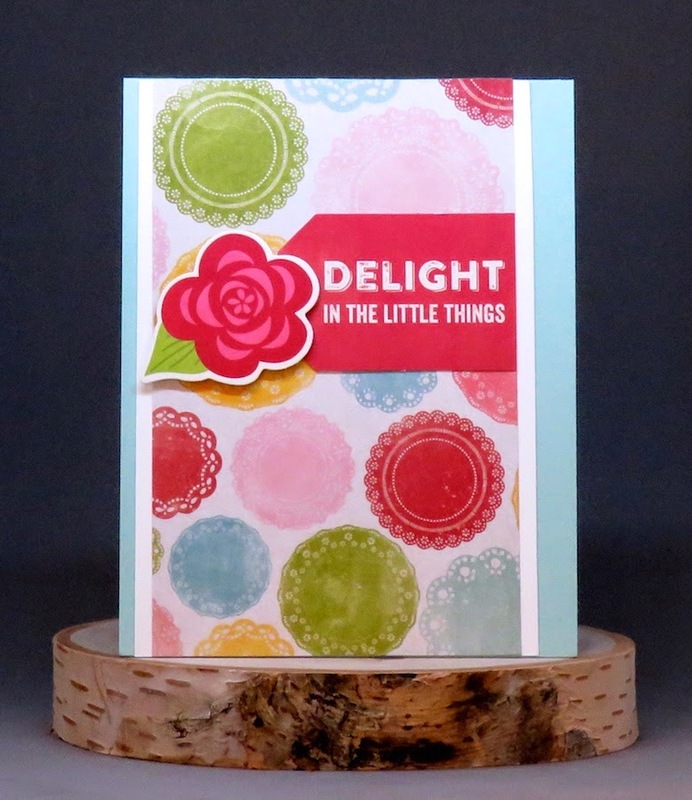 Today's card features Jillibean Soup's papers, embellishments, and stamps. 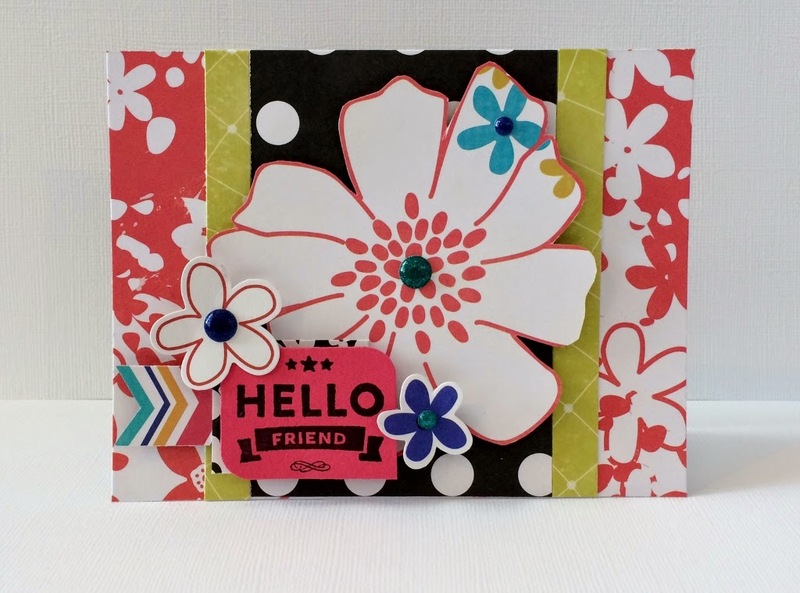 Make horizontal kraft card base for a 4.25” x 5.5” card and round bottom left and top right corners. 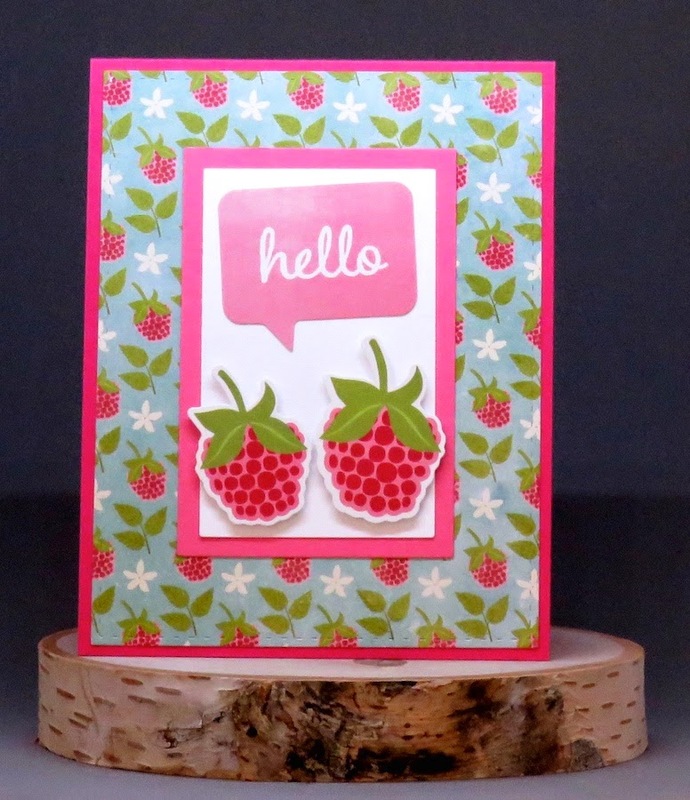 Cut raspberry panel and round bottom left and top right corners, stamp random hearts, and adhere to card. Die cut cog and adhere to envelope; add enamel dot in center. Cut off the sentiment from the notecard and adhere to strip of patterned paper; cut right end into points and adhere to envelope. Adhere cork medallion, pearls, and gems to envelope. Adhere envelope to card with foam dimensional tape. Well I think Spring has finally arrived here in central Ohio. 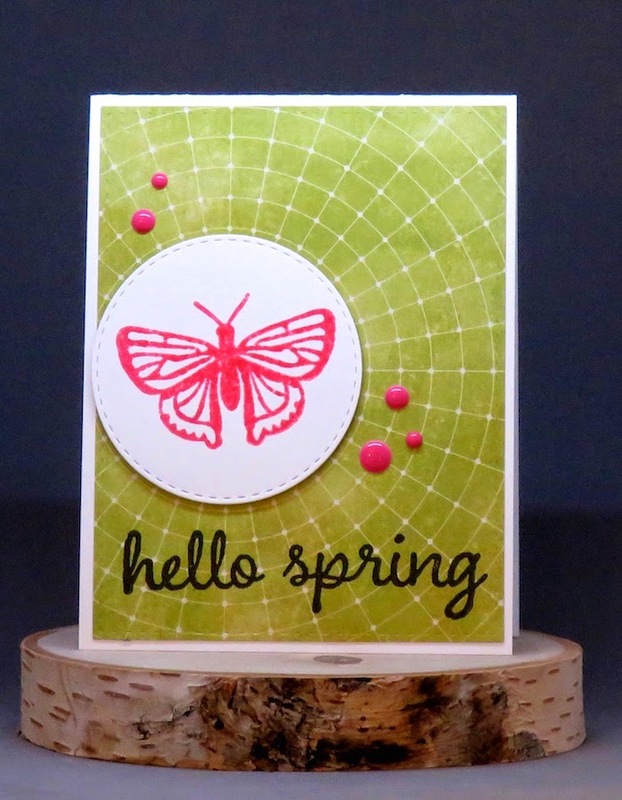 So I decided to celebrate by creating a springtime inspired card using the brand new Saffron Yellow Pepper Soup papers and mixing them with the new Summer Red Raspberry Soup stamp set and new Hampton sentiment stamp set. I really love how this one turned out, who knew that by using two different stamp sets and three ink colors it could result in such a striking combo? What is even more impressive is how well all four of these products go together, from three different collections. 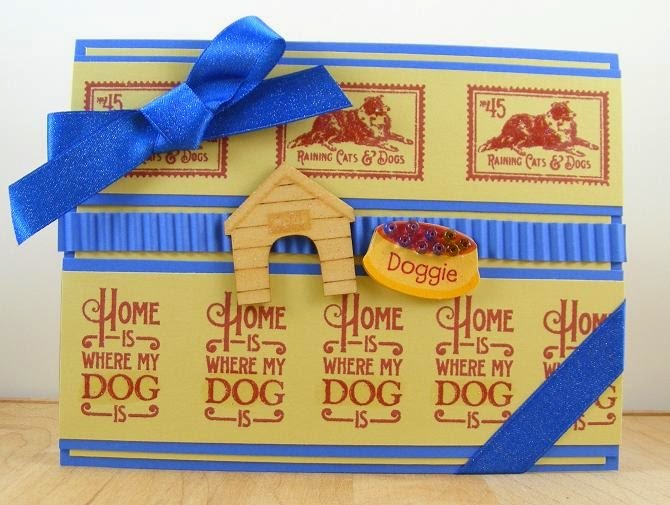 The base was made with two papers from the Saffron Yellow Pepper collection and strips were cut and sewn onto card base as shown. To create the layering cluster I started by stamping the sentiment seal onto plain kraft paper in white pigment ink and set aside to dry. Next I stamped the flowers in red ink onto white cardstock and fussy cut out. 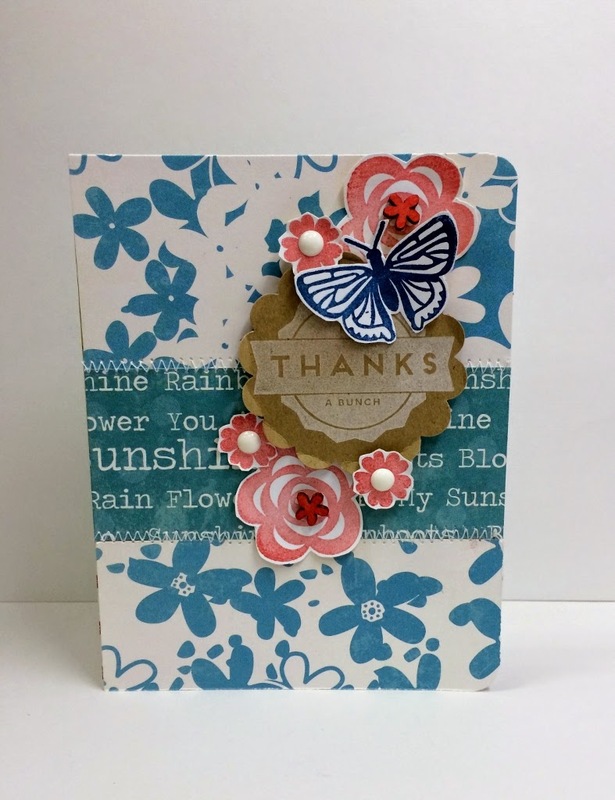 Then I stamped the lovely butterfly in a rich dark blue onto white cardstock and fussy cut out. Next I punched out the seal using a scallop circle punch and turned up the edges slightly and attached to card with 3D foam dots. Then I began layering the flowers as shown, two of the small flowers with 3D foam dots. The butterfly was then added with wings folded up just a bit and attached in center with 3D foam dot. Last I added the flower centers for the small flowers white enamel dots, the larger ones got the new wood veneer flower centers after dipping them in the red ink pad. 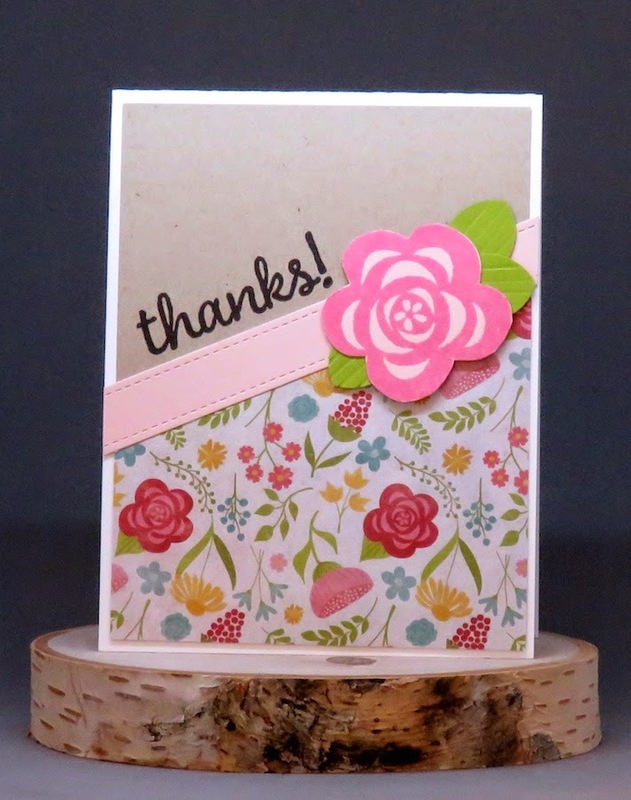 A lovely bouquet for springtime sharing, and we always need another thank you card around my house. Is it past time to check in with an old friend? 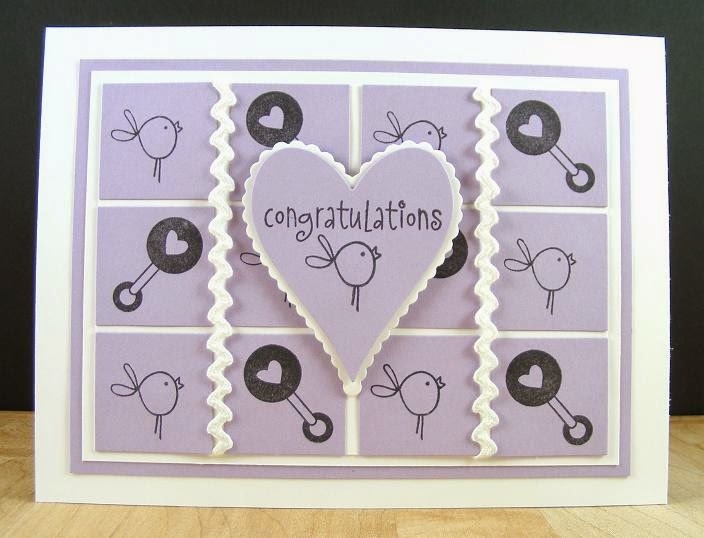 Here is the card for you, made with brand new Saffron Yellow Pepper Soup and stamp set from Jillibean Soup. The card base is the beautiful coral floral pattern, layered onto is the chartreuse green and black polka dot papers for contrast. Next I fussy cut from the Saffron Threads paper the large flower and attached to card with the 3D foam dots. 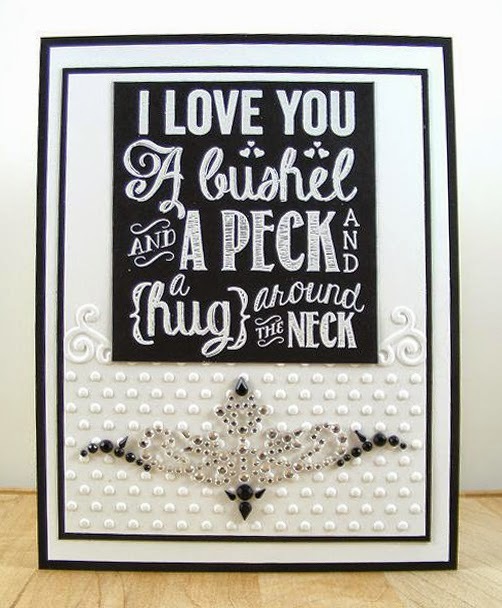 The sentiment banner was stamped onto coral color cardstock in black ink and cut out with two corners rounded. It was also added with 3D foam dot. Then the arrow banner piece was added and the flower cutouts from the Pea Pod set. Last I added glitter dot centers to all the flowers as shown. 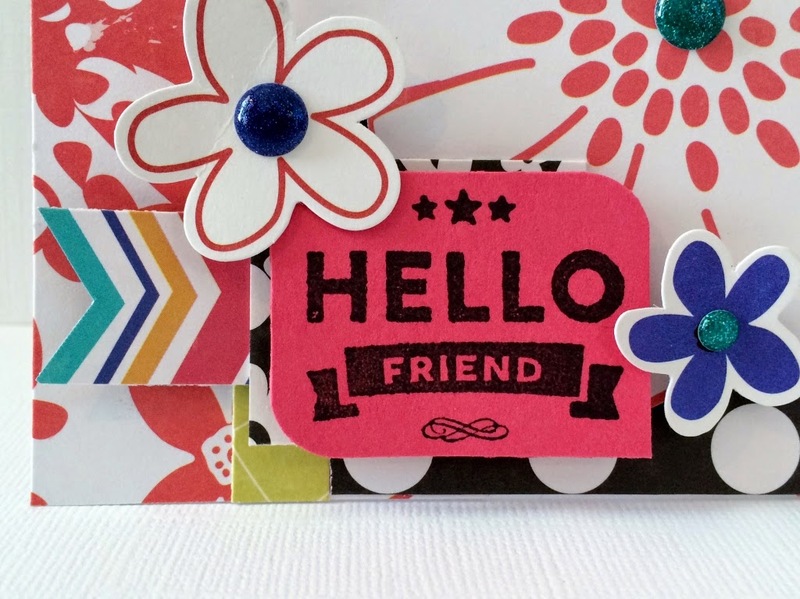 Now you have a card you can send to reconnect with a friend, what are you waiting for? Today's card features some products from Jillibean Soup's new Mix the Media and Soup Staples III collections. 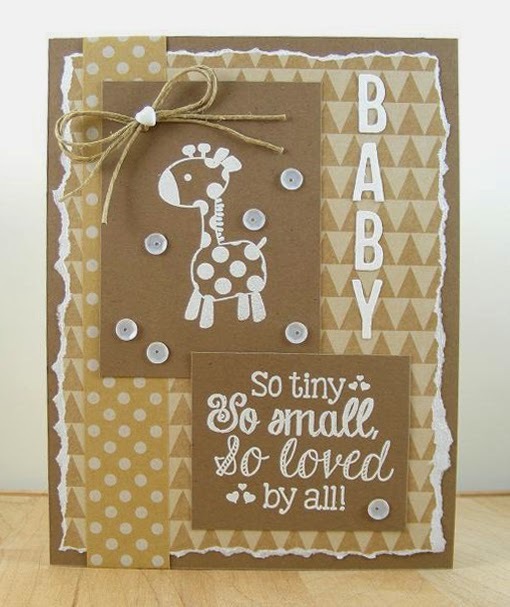 Cut woodgrain paper and adhere. Cut "chicken wire" paper into tag shape (or use a die). 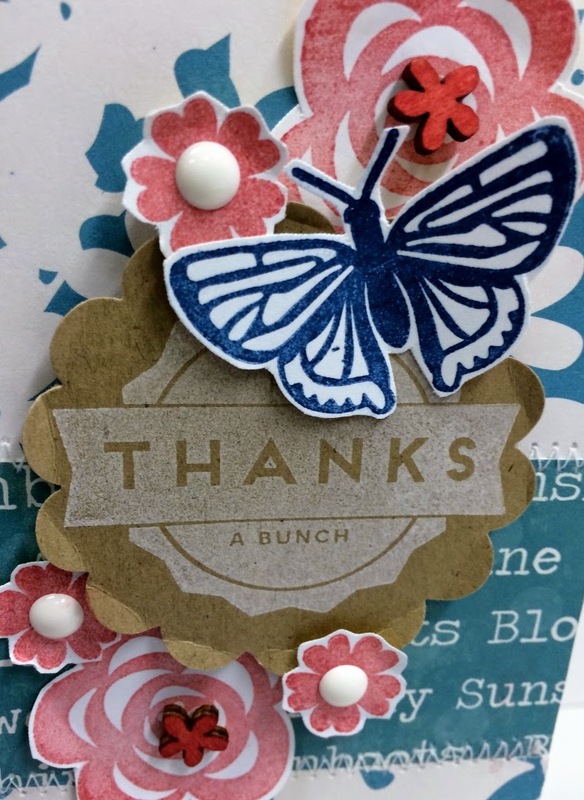 Die cut "thanks" and adhere to paper tag. Cut bottom of burlap tag into points and adhere hearts. Thread tags with cord, pull ends through button back and tie into a bow. Adhere paper tag to card with foam dimensional tape. Adhere enamel dots and pearl. Today's card features Jillibean Soup paper from the Spicy Social Soup collection and goodies from the ephemera packs and other accents in the Mix the Media collection. Make base for a red 4.25” x 5.5” card. Adhere patterned paper on the right and ephemera tickets on the left. 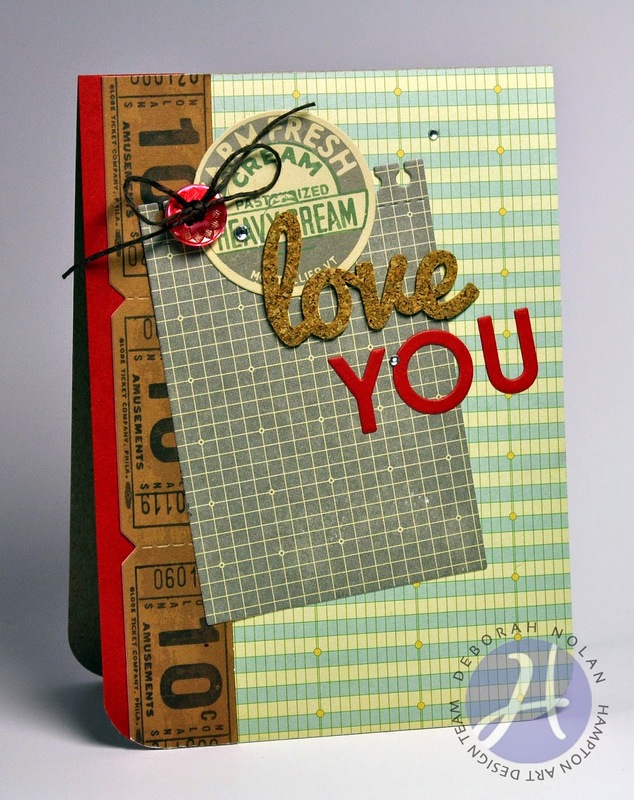 Die cut notepad sheet and Y, O, U letters; adhere to card. Layer and adhere ephemera, cork word, threaded button and gems. 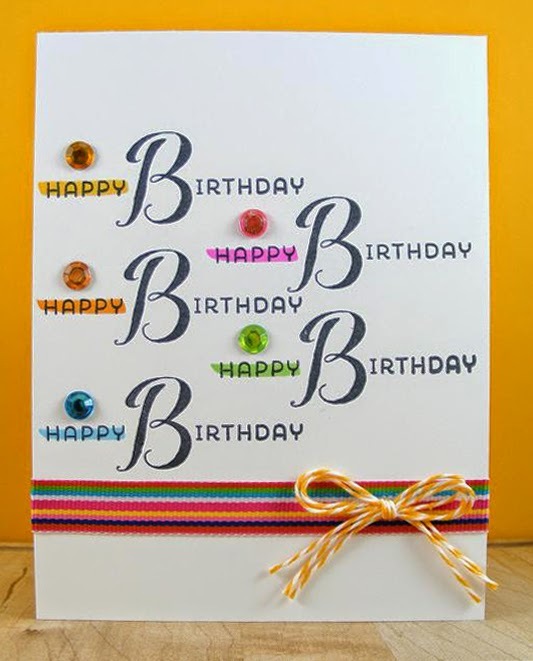 Today I am sharing a Birthday card made with brand new Jillibean Soup Saffron Yellow Pepper Soup and stamp set. This card base started with three different patterns from the Saffron Yellow Pepper Soup collection the middle panel was sewn on and the center confetti panel was added with 3D foam dots. Next I stamped the Birthday sentiment in black ink onto white cardstock. Then I added that sentiment piece after cutting it out to the bright blue backer with foam dots. Then I added the tiny black enamel stars. Last I added the ribbon, because everything looks better with a bright yellow ribbon right? This card would work for almost anyone, the designs span age gaps and gender for sure. That is one thing that I love about this new collection. The stamp set is also a new favorite, I realized I used it on all three Hampton cards I made this month- not even realizing it. Today's card features Jillibean Soup papers from the Cool as a Cucumber Soup collection and tags from the new Soup Staples III collection. Make kraft card base for a 4.25” x 5.5” card. Cut 3.75" x 5.5" strip of Awesome Avocado patterned paper and adhere to card. Round top left and bottom right corners. 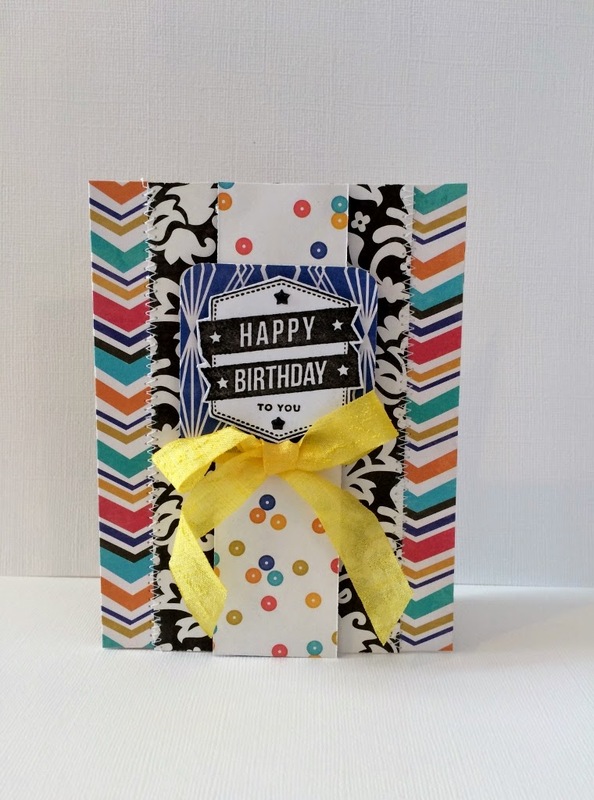 Use pen to draw "stitches" alongside patterned paper panel and triangle tags. Cut patterned paper to adhere to back of tags. Adhere tags and die cut with foam dimensional tape. Adhere threaded button and gems.